Pha Tat Luang is a gold-covered large Buddhist stupa. Generally regarded as the most important national monument. 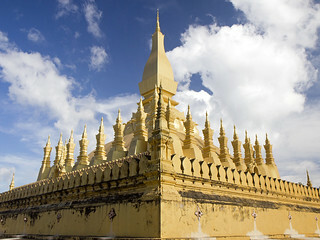 Vientiane, Laos.